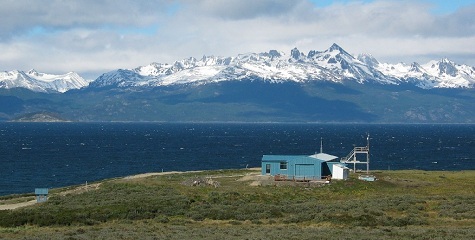 The T-20 antenna is intended primarily for use with low and medium powered, omni-directional, Transmission Systems operating in the LF and MF bands. It is particularly intended for use with aeronautical non-directional radio beacons (NDBs), Differential Global Positioning Transmitters and shore-based Navtex Transmitters. The Input RF Power Rating is up to 500 watts average (2000 watts peak) and 750 watts CW. Counterweight system to prevent tower overloading and reduce horizontal radiator sag. The effective radiated power from an electrically short LF/MF antenna is proportional to the square of the antenna’s effective height. The effective height (He) of the antenna is increased by an amount depending on the heights above ground and the relative length of the vertical and horizontal sections. The values of HE for a conventional, base fed, vertical radiator without capacitive top loading elements such as a whip antenna is 0.5 while values of HE up to 0.9 can be achieved using T antennas. 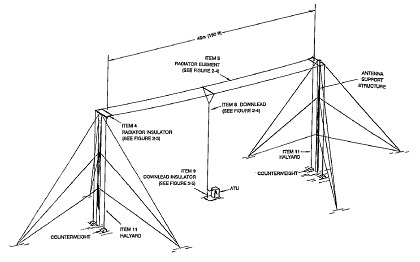 The actual attachment of the antenna to the towers is by means of stainless steel wire rope halyards, two at each end, passed over pulleys fixed to the towers. 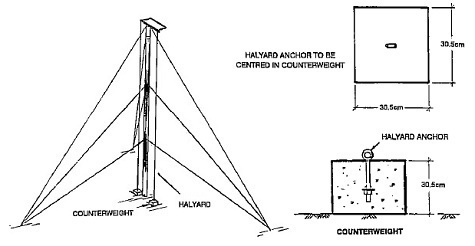 The halyards are held down by counterweights. 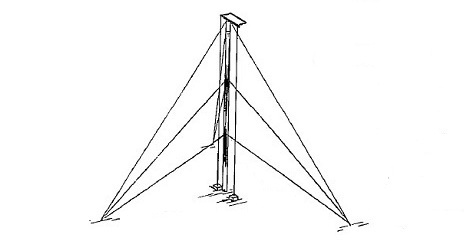 This system of suspension prevents tower overload due to high winds and/or severe icing. It also provides for much simpler inspection and maintenance procedures. 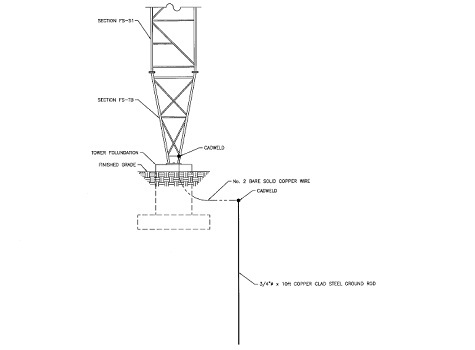 The grounded towers used to support the T antenna radiator do not require the use of an isolation transformer for the obstruction lights which significantly reduces the cost of affixing obstruction lights to the T antenna system. 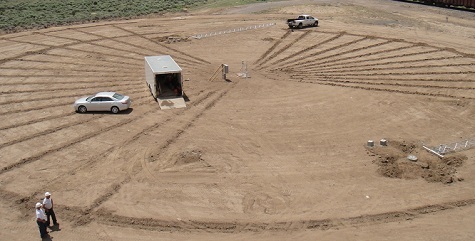 The grounded towers used to support the T antenna radiator provide a direct path for the lightning energy to flow to earth ground reducing the possibility that the lightning energy will flow through the transmission equipment. The T-20 is supplied with components including stainless steel cable and wire which are suited for the marine environment found at coastal stations around the world.